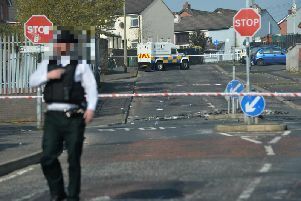 Patrick Kielty has said he cannot forgive the loyalist gunmen who murdered his father 30 years ago. The comedian from Dundrum, Co Down was just 16-years-old when his father Jack was shot dead by paramilitaries in 1988. Three decades after the murder, Kielty says he is not prepared to forgive the men responsible, but added that he wants to “move on”. He made the remarks as part of a new documentary to be screened on BBC One tonight. In ‘My Dad, the Peace Deal and Me’, Kielty also revealed that the IRA offered “revenge” for his father’s murder, and stressed that his family rejected the offer “in no uncertain terms”. The 47-year-old said: “My dad died for nothing - he wasn’t a political figure, he wasn’t taking a stand. Three men – William Bell, David Curlett and Delbert Watson – were sentenced to life for the murder, but were released in 2000 as part of the Belfast Agreement. Kielty said: “I am not going to go and shake the hands of the people who killed my dad. I’m not going to give them a hug and tell them it is ok. In the documentary, Kielty – who is married to TV presenter Cat Deeley – explores the legacy of the Belfast Agreement 20 years on and reveals that he voted in favour of it. He also interviews DUP leader Arlene Foster, whose police officer father survived being shot by the IRA. Mrs Foster said she had opposed the Belfast Agreement principally due to the provision for the early release of paramilitary prisoners, which she branded “an anathema”. “How can you allow people who have committed some of the most hideous crimes just walk free as if they had done nothing?” she asked. Kielty said he had voted in favour of the agreement, knowing the people who killed his father would be freed. Kielty also meets former IRA commander in the Maze prison, Sinn Fein Councillor Seanna Walsh. When asked if he regretted his actions as an IRA volunteer, Cllr Walsh said he was “proud of having been involved in the struggle”. ‘My Dad, the Peace Deal and Me’ will be be shown on BBC One tonight at 9pm.